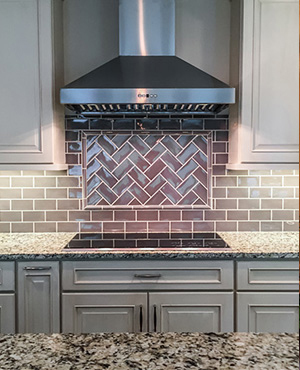 Signature Kitchen & Bath has over 35 years of experience in kitchen remodel projects, having served over 60,000 homeowners around the St. Louis metro area. We take great pride in the quality of our kitchen remodel work and continue to offer the highest level of customer service to our current and future customers across St. Louis. At Signature Kitchen and Bath, we know that your kitchen is not just for cooking anymore, it’s a part of your everyday life. Whether serving quick family meals, hosting family gatherings or entertaining friends, your kitchen has grown to be the most important and central part of your home. That's why we prioritize creating not only a beautiful, up-to-date design in our kitchen remodel projects, but also ensure functionality is at the forefront as well. Ready to get started on your kitchen remodel project? Great, give us a call today to schedule a free consultation with a design expert. Once design elements are approved and we've made sure that the construction alterations have been properly planned, we can move on to the ordering stage and begin to make your dream a reality.